Hugh Helmore puts the microscope to Takecha’s Deep Soundscapes, released earlier this year on Love Potion. A veteran of Japan’s house scene, Takecha (Takeshi Fukishima) has been involved in the writing, production and arrangement of tracks for nearly 30 years. Famously, he touts Soichi Terada as one of his best friends, a musician of similar calibre whose subtle and minimal dance tracks have clearly had an influence on Takecha’s 2018 release, Deep Soundscapes. This distinctive sound was borne borne from early Japanese video game soundtracks, evidenced in the background of many of the artists from this milieu (such as Terada himself) as early game soundtrack designers. Due to the limited production and arrangement technology available at the time, the musicians were made to indulge in an extremely sparse sound, both in number and range of synthesised instruments. In more recent years, this approach to creating sound seems to have permeated into the techniques of producers worldwide – perhaps because electronic dance music usually takes a nominal perspective with regards to production, allowing for a seamless crossing of cultural barriers. This is probably more recently apparent in the popularity of albums promoted by Youtube algorithms, which are often somewhat old and obscure but exist as a cross between rhythmic and ambient music that allows them to be flexible in a variety of situations. Interestingly, varieties of house music are, on occasion, considered within this odd sub-section of grooves, which demonstrates where Deep Soundscapes‘ heritage lies in the modern space. Where it was a necessity for early electronic music to be simplistic in terms of composition, early composers ended up utilising this hinderance as a virtue in the aim of popularising the genre. This is perhaps the reason for the continued focus on quality melodic structure, evident in both vintage and modern tracks. Throughout Deep Soundscapes, Takecha makes prominent use of minimal melodics, evoking a nostalgic atmosphere hidden within subterranean grooves. One particular image that comes to mind is that of a synthesised quartet, where a limited amount of instruments harmonise and interacting with each other to bring out a reflective, wistful sound. This is perhaps best demonstrated by the first three tracks on the album (‘Deep Drive’, ‘Midnight Things’, ‘Gradual Atmosphere’), which establish the theme of instrumental essentialism that goes on to be manipulated throughout the rest of the tracks. The rhythm section bears a strong influence from classic house music, with the underlying beats playing a familiar, driving four-to-the-floor rhythm for the majority of the record. Considering the floating ambience evoked by the melody, it’s surprising that the relatively intense drum machines make an appearance at all; yet, they bring out an almost perfect counter-harmony, rendering a subtly surreal take on old school club music. That being said, there are some surprisingly dark tunes. Take ‘Factory 141’, for example, which harnesses some of the harsher synthesised drum sets to create a steam-fuelled industrial atmosphere that fits unusually snug amongst the ethereal electronic soundscapes that make up the rest of the album. With modern dance music moving so quickly both in terms of technological and compositional development, it’s fascinating to experience an album that abides by such a deeply laid tradition whilst approaching the limitations of its spiritual predecessors in an unquestionably contemporary fashion. Even without such a perspective, Deep Soundscapes certainly holds its own in the minimal house canon, although without today’s popular idea of a blurred generic barrier there’s the risk that the full forty-five minutes might come off as a tad too long. Still, it’s a joy to hear the work of an artist who has been so persistent in their craft for so long, and who continues to take exceptional pride in the music they produce. 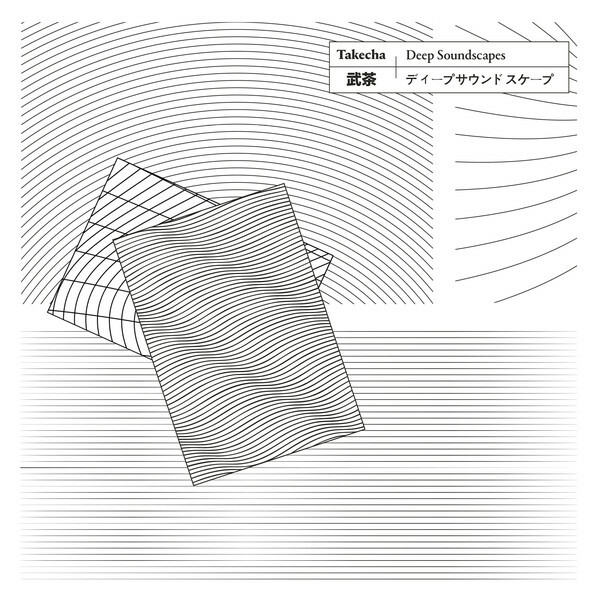 You can get Takecha’s Deep Soundscapes as a double LP over at Juno. Did you enjoy this article? Remember to like us on Facebook for more reviews, features and mixes straight from the 45turns steam room.